We’re headed back to 1990 – when Nurgle and Tzeentch were at war and you could ally Chaos Squats with Ork Freebooters! Welcome to the BoLS Retro Corner, where each week, we take you on a time machine to the era of early tabletop awesomeness. 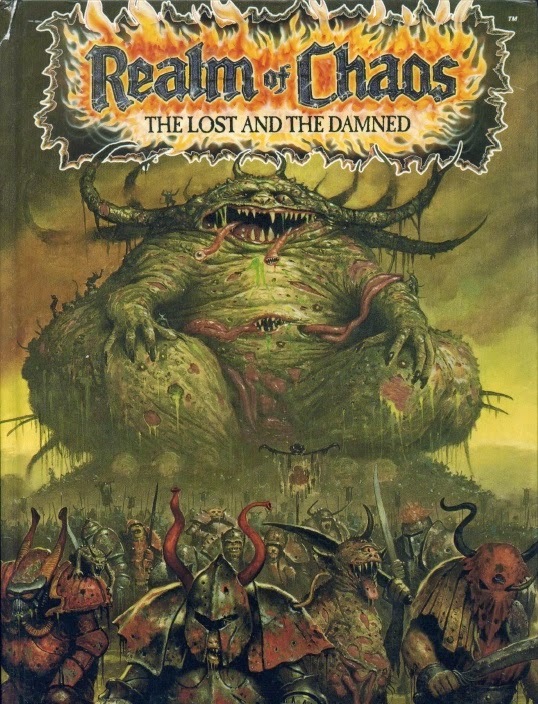 This week, the seminal work on the Games Workshop Chaos pantheon – 1990’s Realm of Chaos: The Lost and the Damned! ~ Who’s still got their copy lying around and what is your favorite bit of early 90s craziness?